I have a lot going on. My sewing eyes were bigger than my sewing stomach. 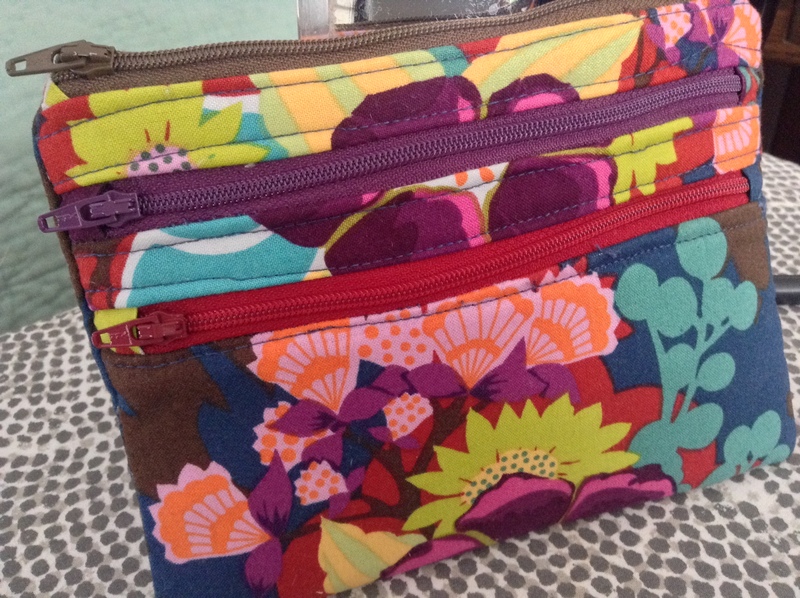 the other abysmal – gorgeous fabric but with super wonky zippers and top stitching and zipper tabs that disappeared. Next, I need to catch up on #feathersqal. 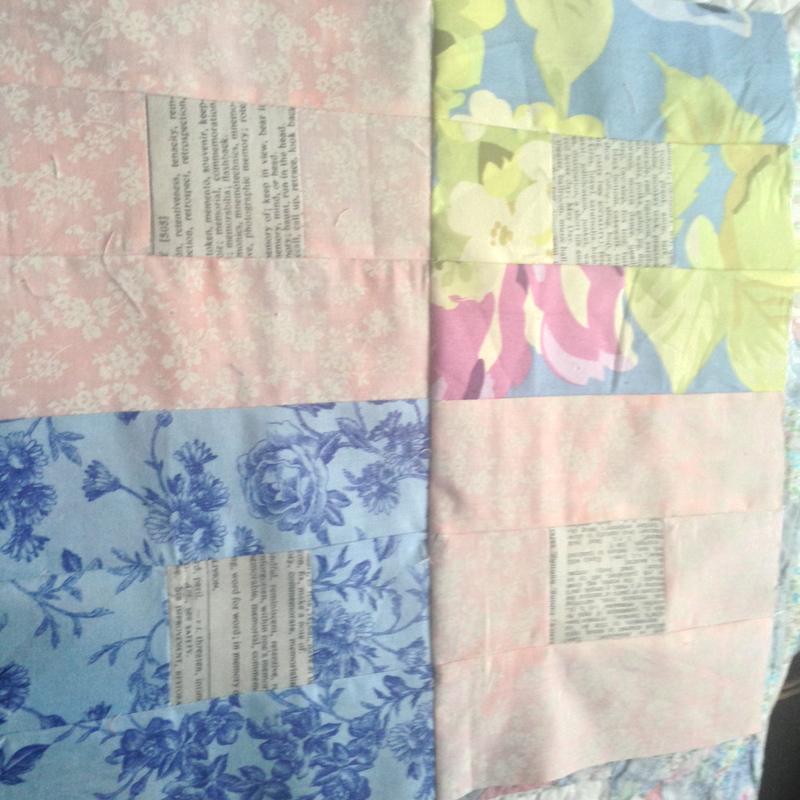 I have 1.5 sets of blocks to sew (K, M, N) and then sashing. I have until 3/14 to finish my top to hit the QAL deadline. I think I may take the weekend off from this project. 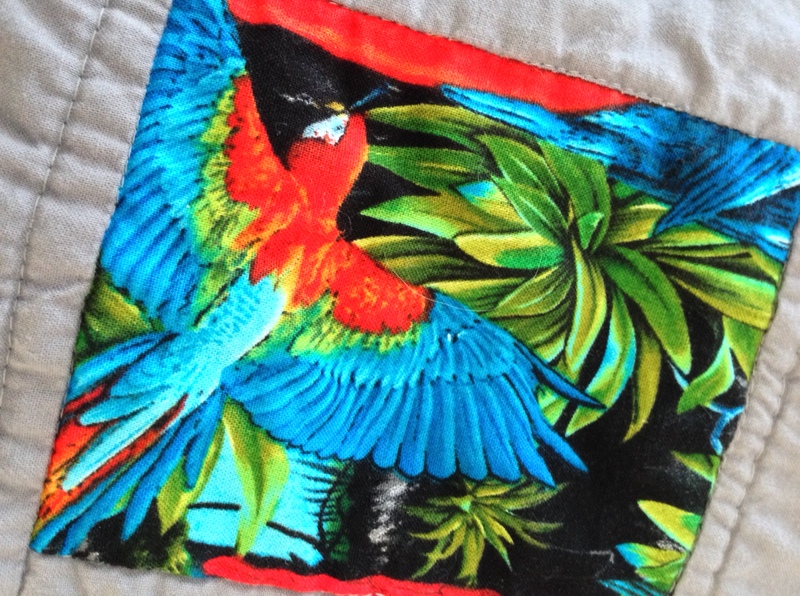 I love the quilt – it is going to be truly fabulous, but it takes brain power and time – two things I am lacking a bit of recently. 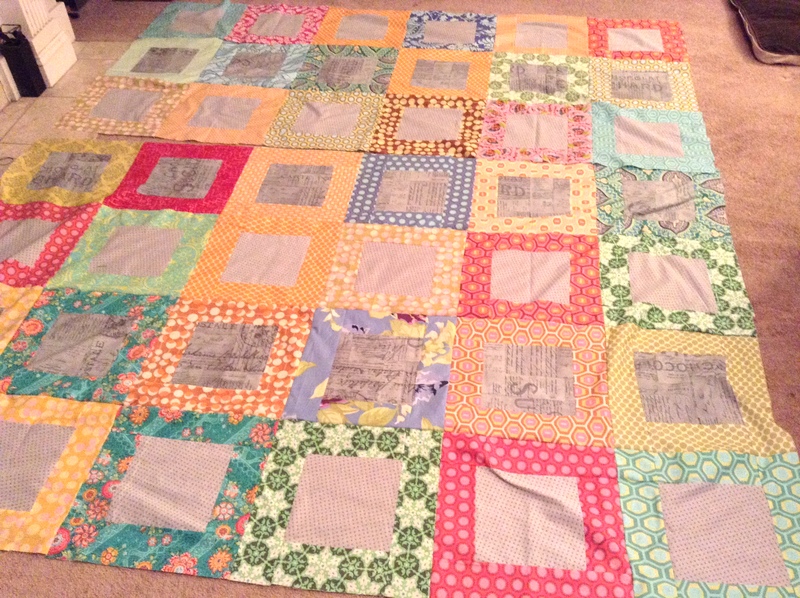 I *might* have cheated and sewed some of the strips together with completed blocks. It is really soo frickin’ cool! I am participating in the Color Intensive class given by Rachel @ Stitched in Color and I know there is a delicious project that starts tomorrow – the project that enticed me to sign up for the class. So… I’ll do that on… um, extra Sunday? It would be so great if we got an extra Sunday this weekend! 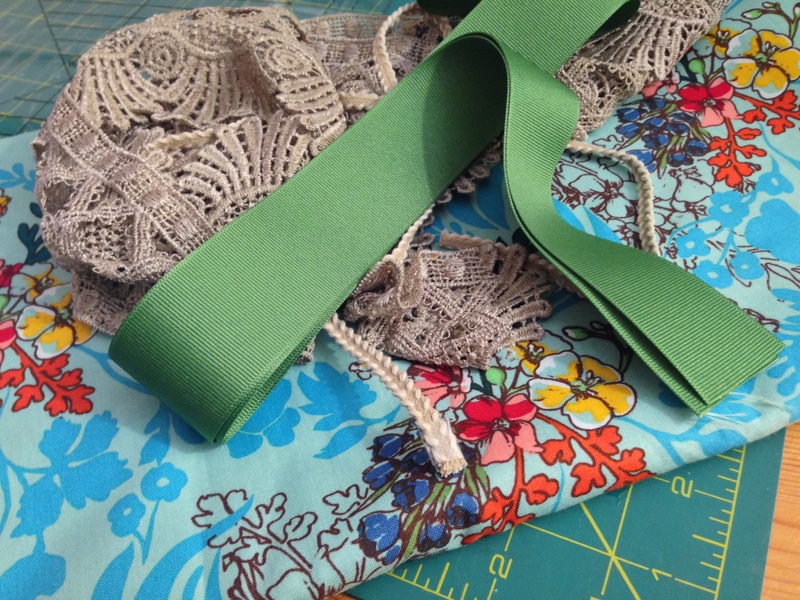 I will need to wait until the assignment is posted… but right now I am thinking I will use this GE F’ing ORGEOUS AMH fabric with these fancy pants trims. 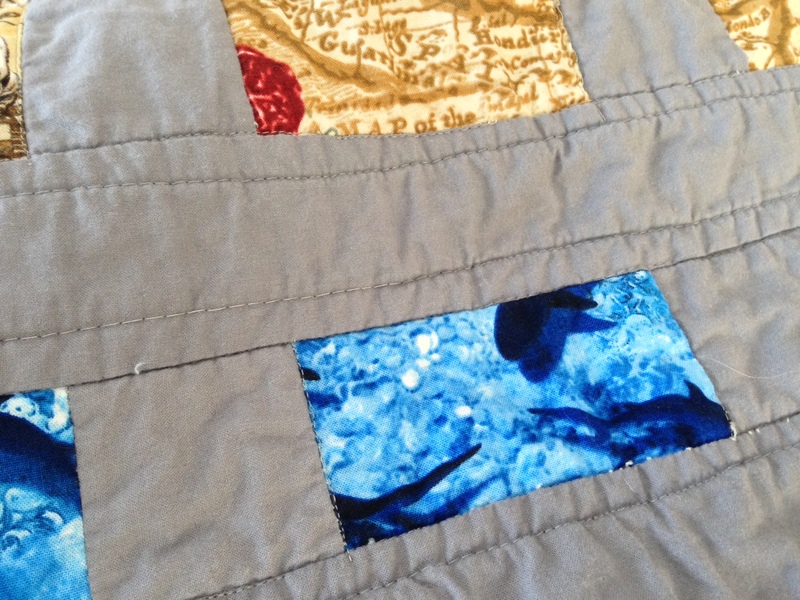 This… which I finished in early December and dropped off to the quilter, still isn’t done. I wish, wish, wish I knew how to sew something this big on my home machine. Because I really, really want to have it. 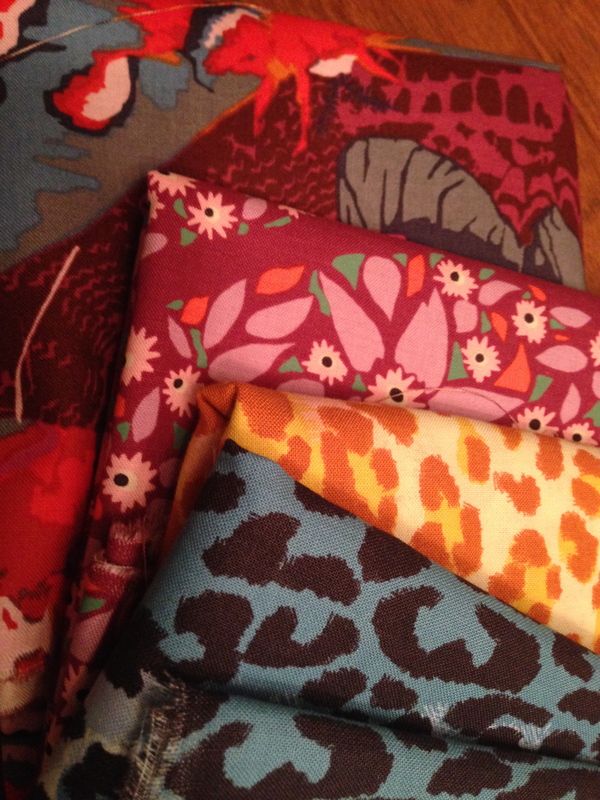 My favorite fabrics – and gorgeous gray. Patience – I was told I could call back on Monday to check on it. 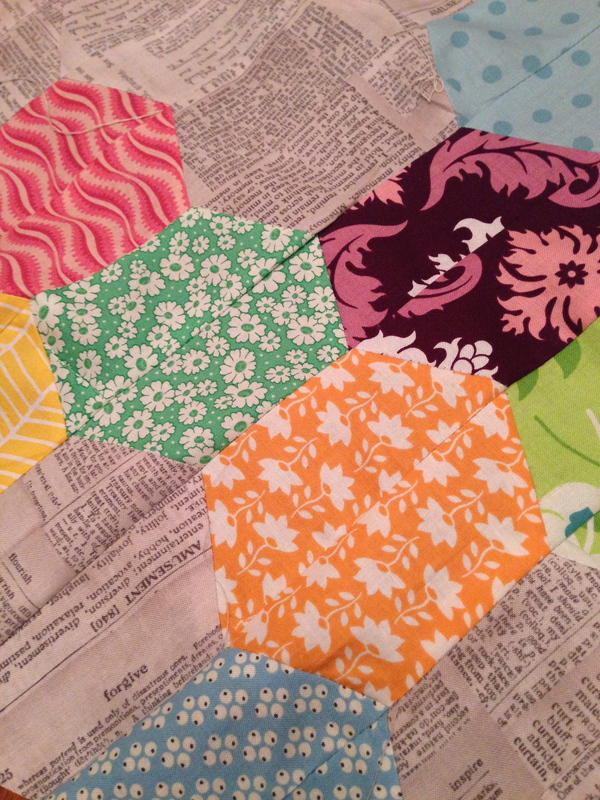 I was zipping along on this hexagon table topper, but the last few rows are very wonky. I want to be done with it so I can have it for my table and kiss and love it, but I won’t be happy unless I redo the wonky rows. Need to make a date with a seam ripper. Sigh. 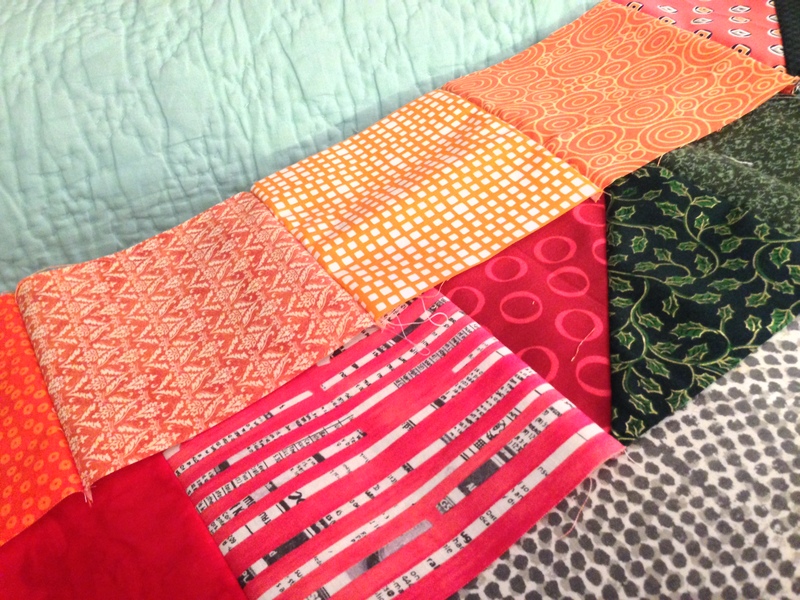 Sooooo… three-zip pouch, feathers QAL, stitched in color class, unquilted quilt, seam ripping hexagons…. so, um… last night I brushed all of that aside and started a new project. Sigh. 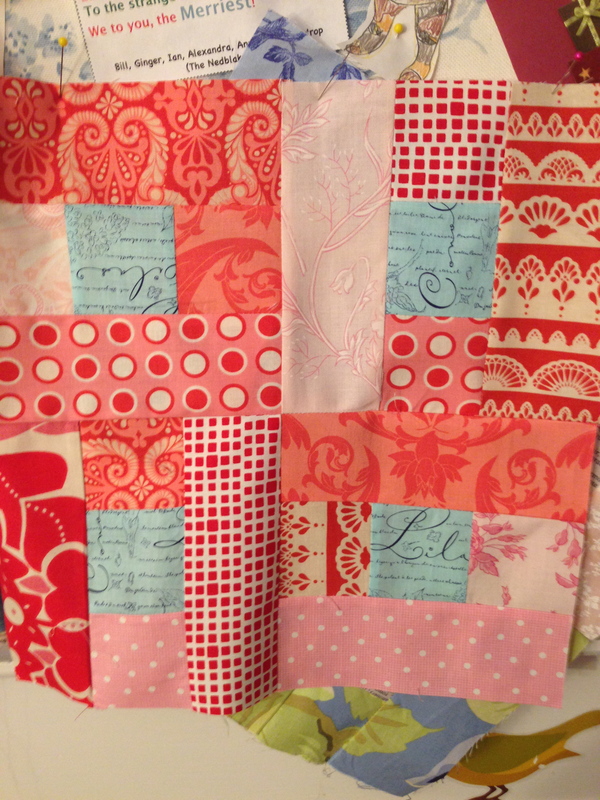 But I saw a pattern, flash of inspiration and started this little quilt for a little girl I owe a gift to. It is so simple and beautiful and fun – and uses stash fabric. Can I get a woot woot? Seriously, that extra Sunday would come in so handy right now. For now, I am going to ignore my to-do list. See if I don’t! 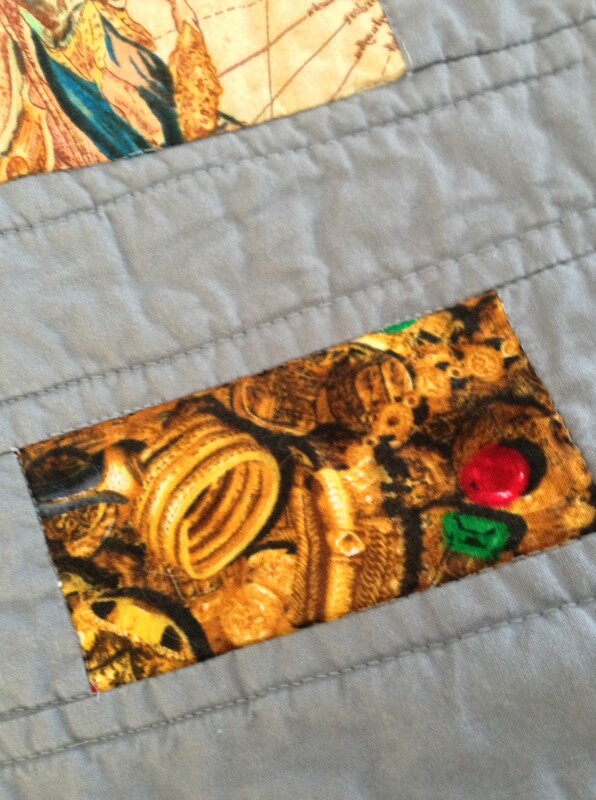 This is a close-up of one of my favorite things in the world – my Ginger Jar wall quilt my mom made me. 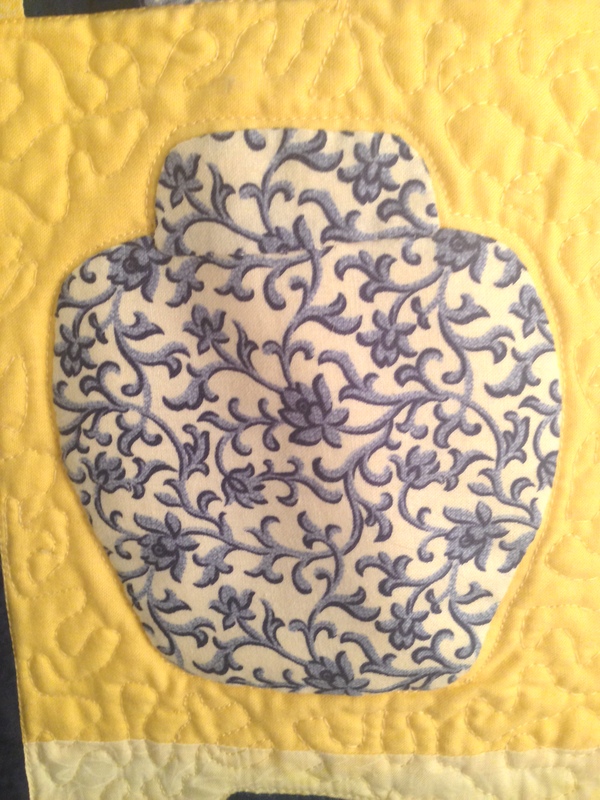 The applique and quilting are gorgeous. My mom seems to effortlessly bring joy and love and beauty to everything she touches. I aspire to be my mom – to be as kind as generous as her, to make my kids feel as loved and supported as she always makes me feel, to set a table as well as her, and to quilt as well as her. She is and always has been my inspiration. Happy Birthday, Mom! 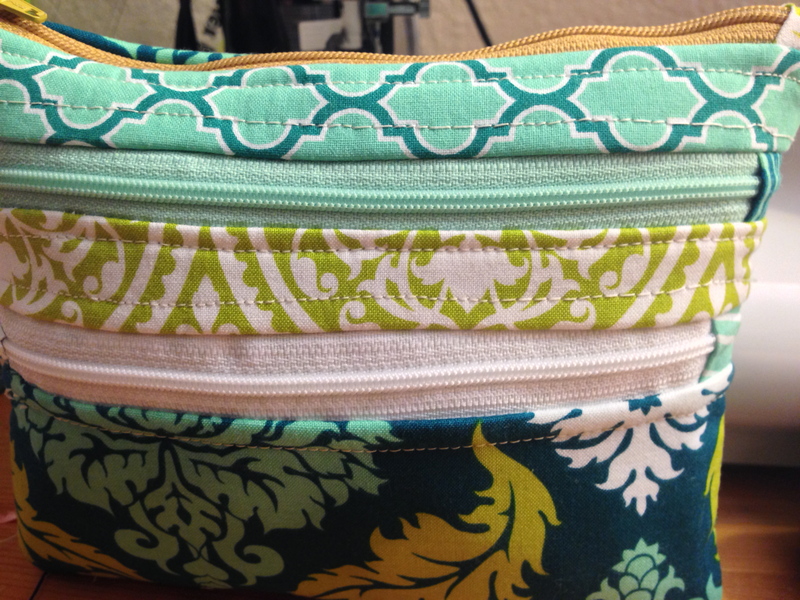 I made her this triple-zip pouch from this tutorial. The fabric is gorgeous. My top stitching and zipper sewing need some work. But my mom loved it – I know my mom will love anything and everything I make for her. I am very happy that I have that kind of mom. 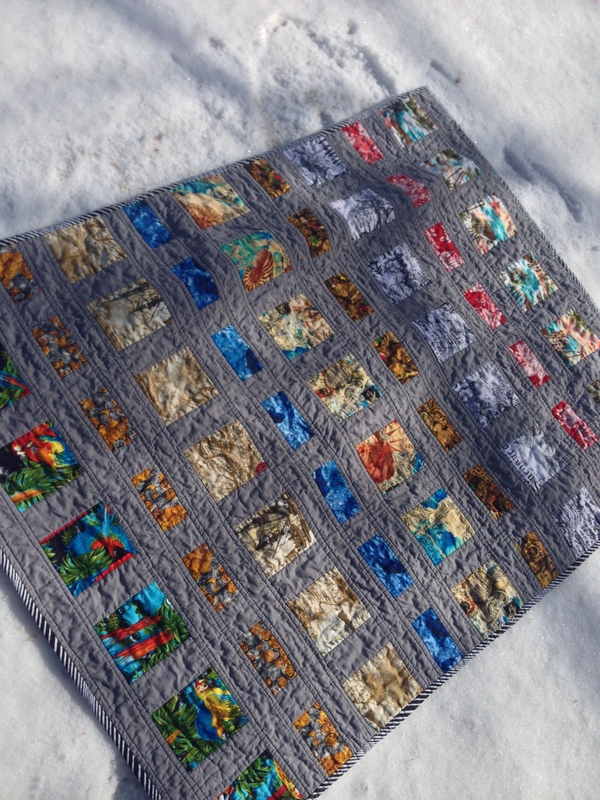 This is a quilt for the pending baby of my cousin Josh. I really love this quilt. The theme for the baby’s room is Pirate. I asked Josh’s mom what the theme was when I was thinking about the quilt to make, and it was duh, Pirate. Josh and his wife take pirate-themed vacations where they dress up like pirates – like I said, duh. 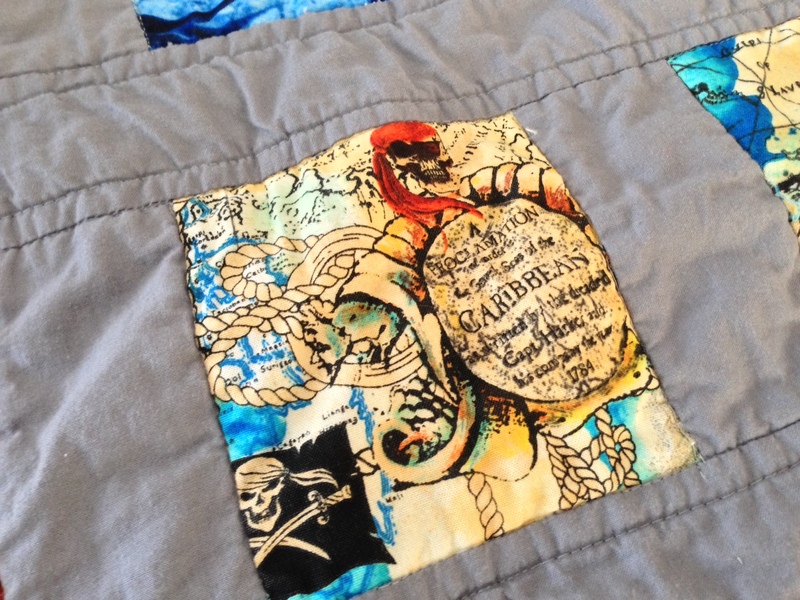 The pirate quilt was fun and easy to make. 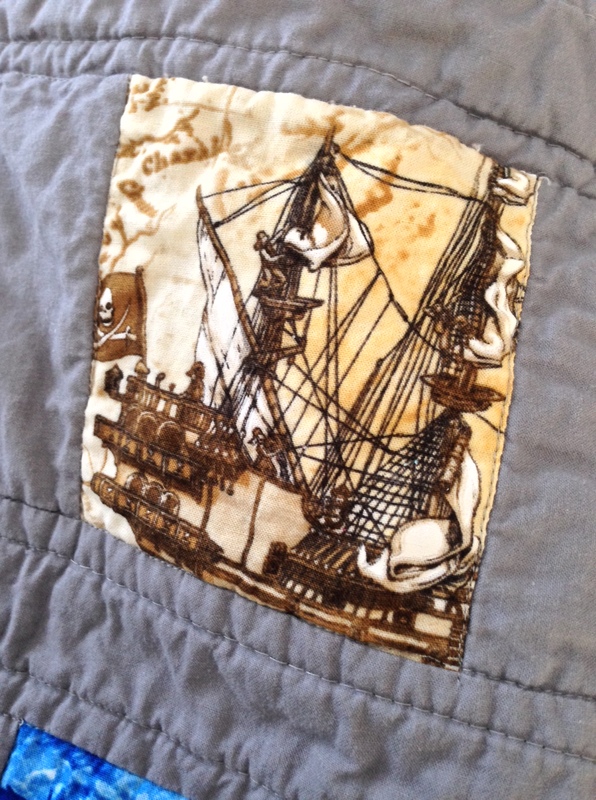 Fighting against using negative space, I tried to come up with a design that would use the amazing pirate-themed layer cake that I bought for the quilt. But the fabrics were just too bright and busy. I realized this when I sat down to start piecing together my (already) cut pieces. So DH agreed to take me to the fabric store where I bought an awesome steel grey. I ended up using a lot less of the layer cake, but what I did use, really does shine now. And the back is AMAZING. I love this fabric. 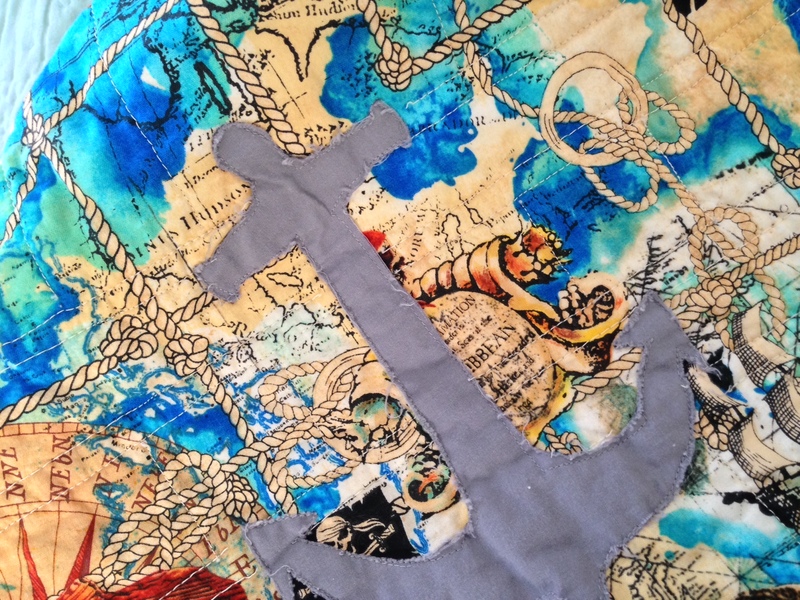 I added a clumsily-appliqued anchor on the back. And there are ships… and parrots… and sharks… and treasure. Arghhh! 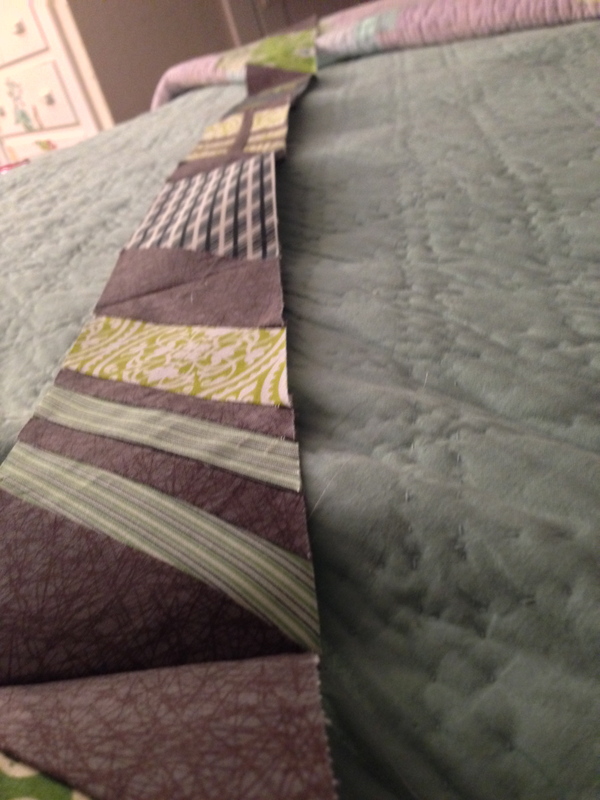 I am starting to hate looooong strippy sashing less. It helped that this one only required width-of-fabric strips. I also couldn’t love the grey more. Greys are the bomb. All in all, guhreat project. As soon as I find the power to do it, I am going to write up the pattern for this one. If nothing else, I think I will want to remember how I did that one the next time I find a set of super busy prints I want to use for a baby quilt.